Are you looking for Easter activities for kids? How about cooking with them! I love cooking with my kids. I am always hunting for new and easy recipes to make together. We have so much fun and we enjoy all the treats we make. Each occasion is a great occasion to test our cooking skills. Since, Easter is around the corner, all the stores have those nice decorations, baskets, eggs. I can spend long moments admiring those shelves. During my last trip to the grocery store, I bought an egg cookie cutter and decorations to make Egg Cookies. It is a great Easter activities for kids. Homemade icing: 1 egg, 2 cups of sugar and food coloring. For this recipe, I went with the icing tubes. In a large bowl, mix the brown sugar and melted butter. This is my 4 year-old’s favorite task. My son usually measures the ingredients. Add the egg, one by one and mix well. Younger kids can handle this task pretty well. Don’t be afraid! Add the flour, salt and baking powder to the mixture. Mix well. I usually mix with the hands. This is a bit hard for children. I usually take over here. Scoop in the batter and shape with an egg cookie cutter. Younger children may need help during this part. I scoop for my 4 year-old. She shapes it with the cutter on a cooking plate.. Older children can handle this on their own. 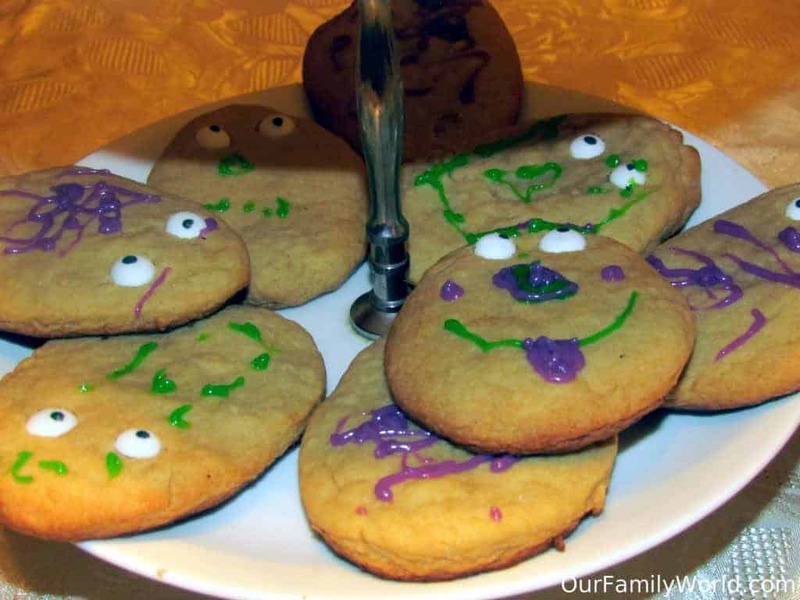 You need to cool the cookies before decorating them. My children were too impatient. They wanted to tackle this task as soon as the cookies were ready. I had to be creative to keep them away from the cookies for 10 minutes. My 4-year-old needed some help with the eyes. But she did not want any help for the icing! 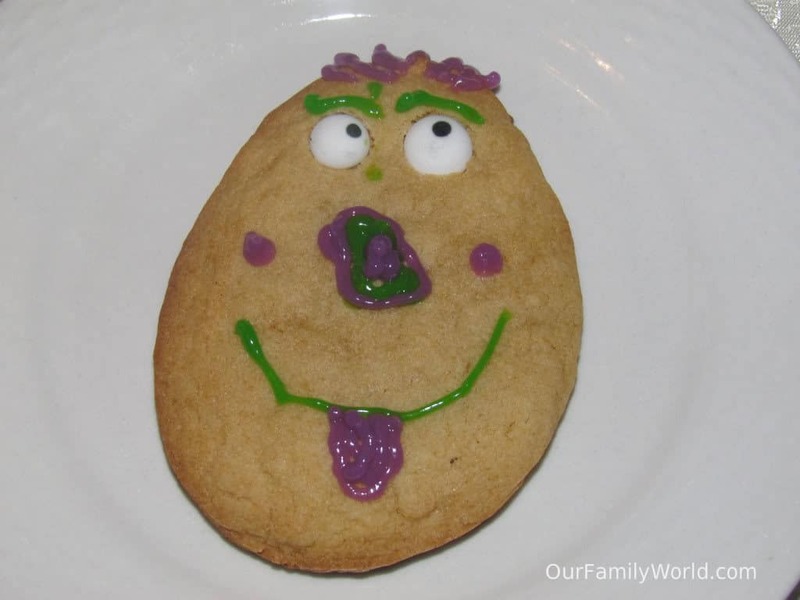 Final thoughts: It was one of our favorite Easter activities for kids. We enjoyed each cookies. Now we have to cook more for Easter. What are your favorite Easter activities for kids? Thanks thats where I will look. I have been thinking of making some cookies so I will have to find some Easter Cookie cutters and try out this ideal Thanks for sharing it with me. You are welcome Glenda. 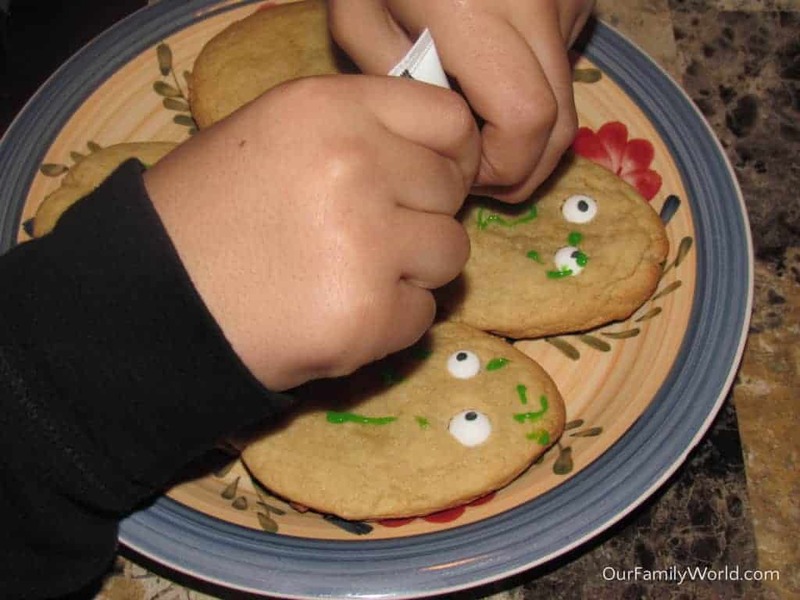 You can find some cute cookie cutter in a dollar store..It is an easy recipe with ingredients on hand.